Oops, you did it again. You hired someone you thought was going to be a great contribution to the team, only to find they’re anything but a great addition. Unfortunately, this happens a lot to hiring recruiters. After all, what’s to prevent a candidate from lying or giving a great interview? 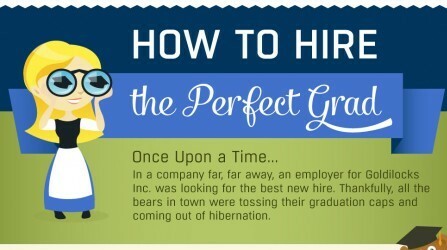 A little preparation and guidance on what to look out for can go a long way to ensuring you’re making quality hires. 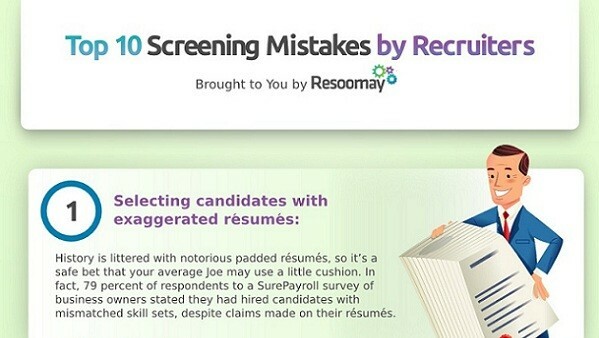 Resoomay has put together a helpful infographic (full size below) on the top 10 screening mistakes that you can avoid. Believing the exaggerated resume. If it sounds too good to be true, it probably is. Most candidates pad their resume a little to make themselves sound better. Make sure their skill set matches the job title they’re given. Not asking the nitty gritty. 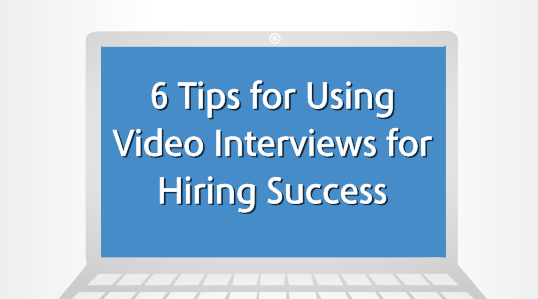 It’s easier to give an interview with superficial questions. However, they’re not a great indicator of how well someone can do the job. Ask questions that get into the menial tasks of the job to see if they can handle the systems, procedures and requirements. Hiring a personality, not a warm body. For instance, you may have a job candidate that looks great on paper, but their short, technical answers don’t seem to fit the personality type of a sales team member. Focus more on their actual skills than their achievements. Hiring solely on the interview. The interview shouldn’t be the deciding factor. Rather, it should merely be a piece to the puzzle. Factor in the resume, references and contact you’ve had with the candidate so far. Shrugging off references. When hiring, you don’t have to go with a “gut feeling.” Just call up their references for a better picture of the candidate. And don’t be afraid to ask tough questions about their reliability, teamwork and efficiency. Deeming someone overqualified. Yes, you think they are overqualified. Chances are, they know they’re overqualified too. But what does it matter if they want this job and are willing to settle for the pay, benefits, etc? You could get a deal on a top notch employee. Getting everyone in the loop. 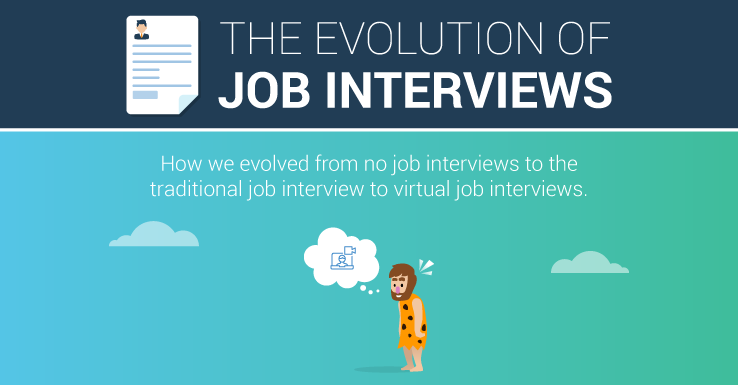 A job candidate could talk to as many as five different people during the screening process. Make sure you’re all on the same page by keeping in touch and determining who is reaching out to who and when. Hiring too soon. This is an all too common scenario. 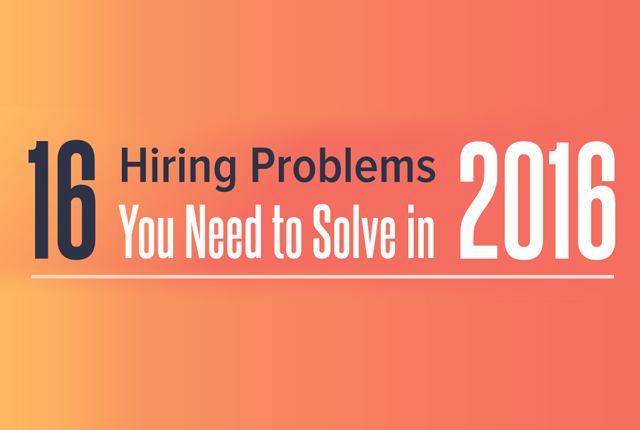 Yes, you want to fill the position as quickly as possible, but is it worth it to hire someone who isn’t a good fit? Not at all. In fact, it could hurt your company financially in the long run. 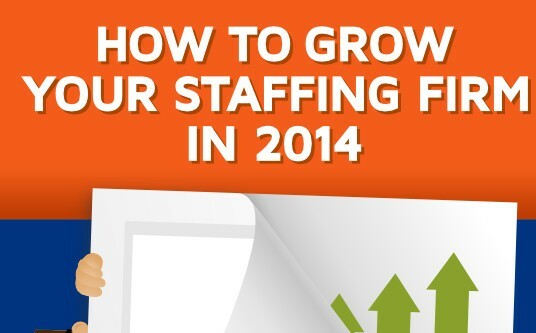 Take your time finding the right candidate who plans to stick around for a while. Misrepresenting the job. A job description needs to be thoughtful and accurate to the responsibilities. General descriptions lead to a very general candidate pool. Detailed job descriptions, however, will enable you to find a better match quickly. Selling the company. 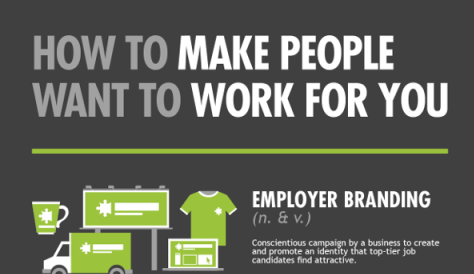 You’re trying to recruit new talent to come work for your company. Be excited about where you work and the job for which they’re interviewing. If you show enthusiasm for the company, they will too. Do you agree or disagree with the screening mistakes included in the infographic? Let us know in the comments.